^ Gerth, Joseph. Senate longshot Matt Bevin touts self-reliance. The Courier-Journal. May 2, 2014 [November 9, 2015]. ^ Gregory, John. 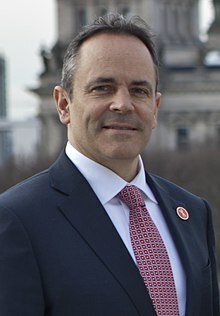 Profile: Republican Gubernatorial Candidate Matt Bevin. Insider Louisville. October 30, 2015 [November 20, 2015].